The Six Billion Dollar Man project has seen all types of difficulties ever since the idea to reboot was hatched. 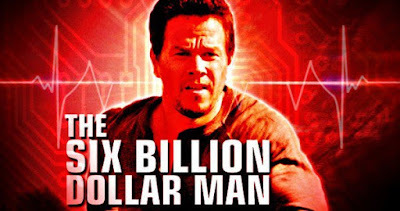 With the exit of director Damian Szifron just a few weeks ago, the latest Mark Wahlberg action/science fiction flick is now experiencing more problems as its been put on the back burner by the studio for another year. Initially meant to be helmed by Peter Berg, the property hit troubled waters and was sold in the Weinstein bankruptcy to Warner Bros..
Now, with the problematic exit of Szifron, Warner looks to continue developing the film but will be ousting it from its 2019 slot with a move to June 5, 2020. A big screen remake has been on the radar since the mid-'90s but this is the closest its ever been to fruition. The character has been missing altogether since the '80s as no other onscreen iterations of the rebuilt Steve Austin. Despite all the trouble, Wahlberg is still attached in the lead role.